By1932 Mussolini’s Fascist Italian state was 10 years old and Hitler was yet to take over Germany, which he did the following year. In many ways, Mussolini’s Italy provided the template for a Fascist totalitarian state where everybody and every aspect of life was controlled in the name of unswerving loyalty to the leader. Political, economic and social turmoil after World War 1 had created the conditions whereby a majority of people appeared to prefer the stability of dictatorship to the anarchy of democracy. As part of these celebrations the (Year X of the Revolution according to the book) the L.U.C.E. 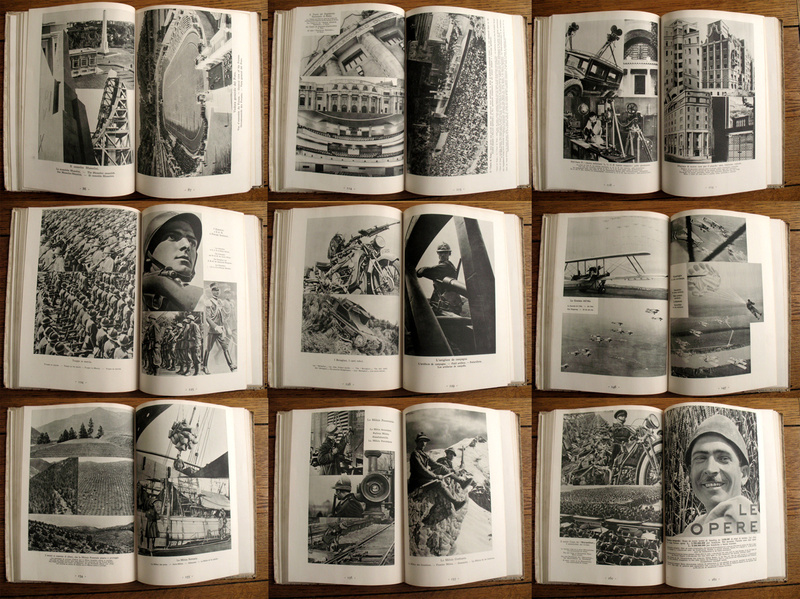 institute, an official state propaganda organisation which mainly produced films, published this softcover celebratory photobook showcasing the achievements of the Fascist state over the decade that Mussolini had been in power. 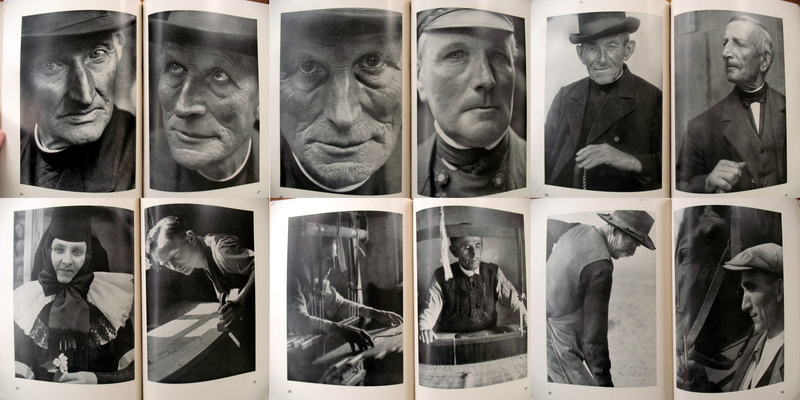 As well as photographs, this 238 page publication contains a foreward written by Mussolini himself (in his own handwriting with a helpful translation in English on the following page) who says that the book is “to render homage to the truth and the act as a guide for men of good will.” Photography and truth have always been uneasy bedfellows and here Mussolini shows that he understands that the power of the visual image in getting a political message across to a wide audience is second to none. 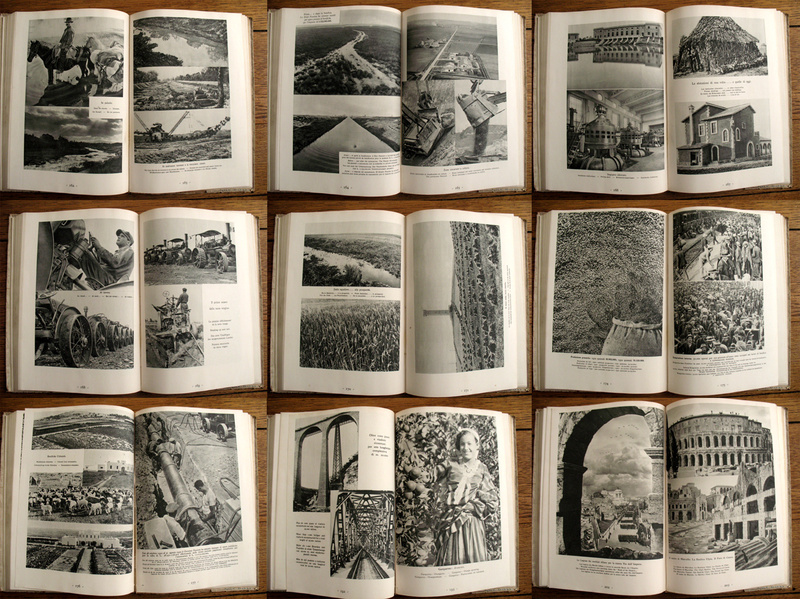 The book itself is laid out in the traditional country survey manner; beginning with images of the wise and benevolent ‘Leader’ and his assumption of power, followed by pictures of bountiful harvests and high-tech industry proving what great strides had been made thanks to Mussolini’s guidance as well as a none too subtle nod to the glories of ancient Rome. Then we have scenes of a harmonious society, all pictured in disturbing uniformity, happily enjoying the benefits of the improvements in education, health, public building works brought about by the regime as well as a strong military to protect this paradise that has been created. The eradication of TB and the building of sanitoria is given considerable coverage within the book as a tangible achievement brought about under the dictatorship. 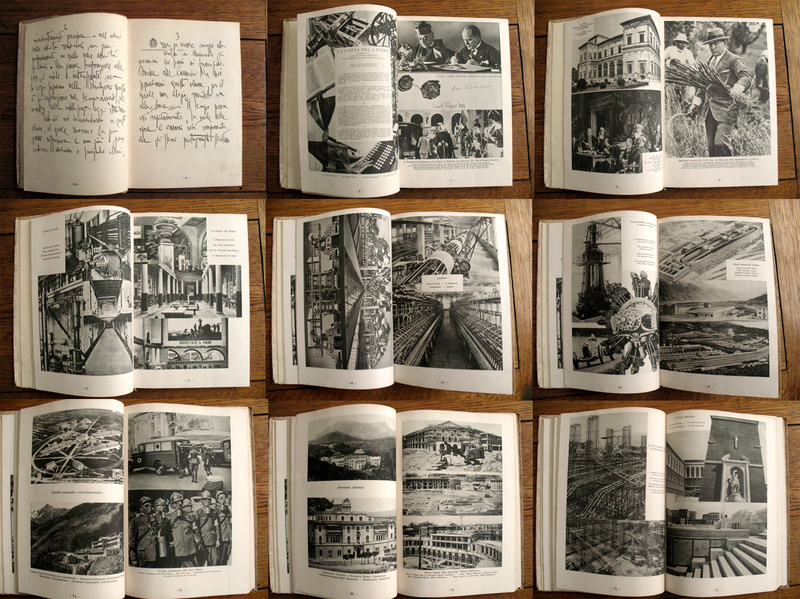 Construction also features heavily throughout the photographs; the simple metaphor of building a new society is one that every dictator seems to adore telling the world about. Similarly, prestige projects are always a feature of totalitarian regimes and here we see the draining of the Pontine Marshes, with before and after shots of deolate landscapes and ramshackle hovels replaced by wheat fields and shiny new houses for lucky workers. 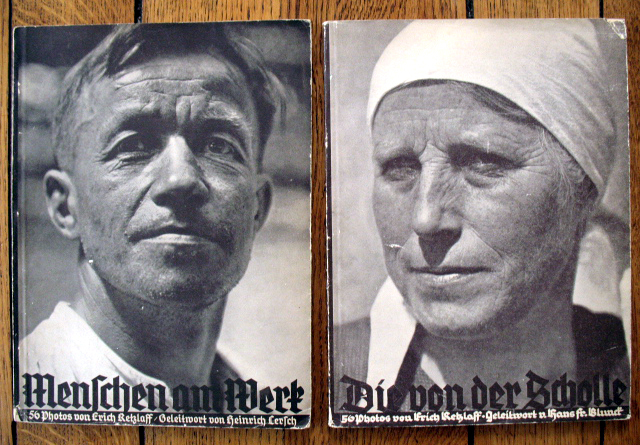 The photographs are uncredited and captioned in Italian, French, English, German and Spanish, indicating that this book was also designed to impress foreigners about the wonders of Fascism. 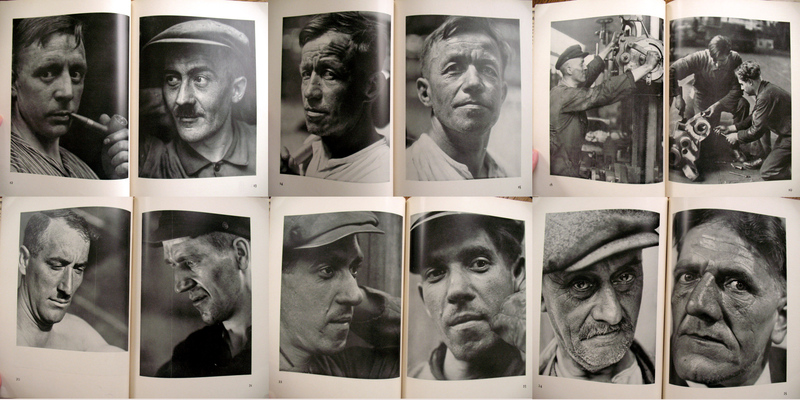 Unlike the Soviets, who liked to get the airbrush out at the drop of a hat, the retouching is minimal, as is the appearance of Mussolini in the book. 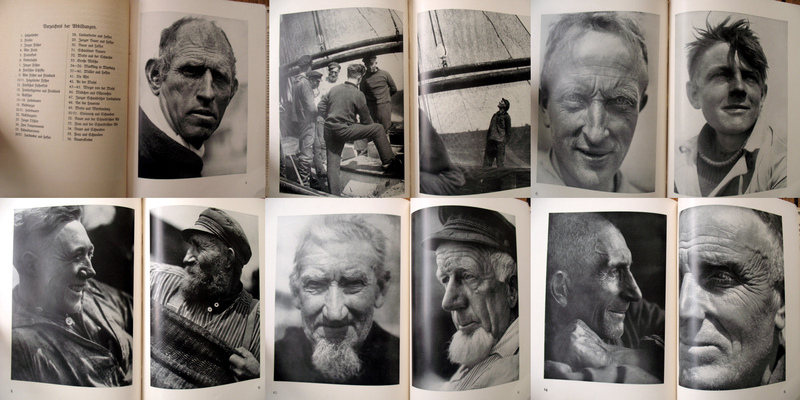 The cult of leadership was never as strong in Italy as in Germany or the USSR so although his presence is felt throughout the book, his pictures do not dominate the book. 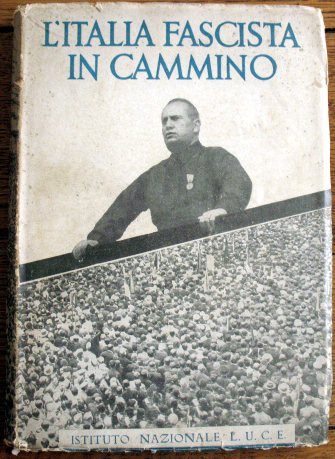 One of the first things that strikes you is the cover; a montage of a crowd scene beneath the overbearing figure of Il Duce himself who is heroically photographed from below. 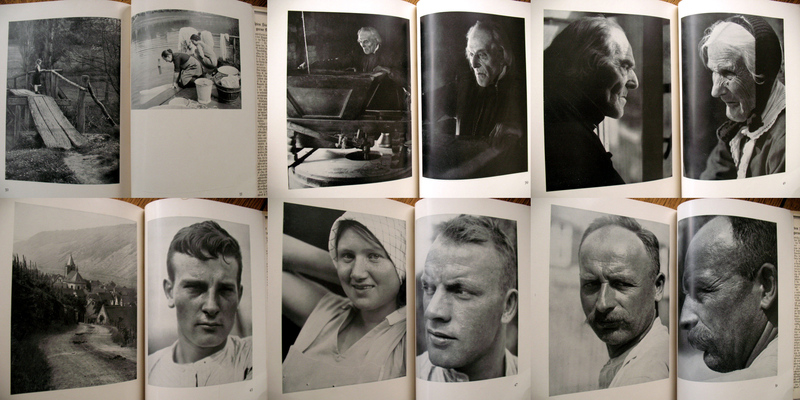 Photomontages punctuate the book and mark out the various headings and sections within it, but they are poor in comparison to the sophistication achieved by the Soviets (before Stalin). Unlike the Communists, Fascists tended to be rather stuffy and stuck in their ways about what they liked. 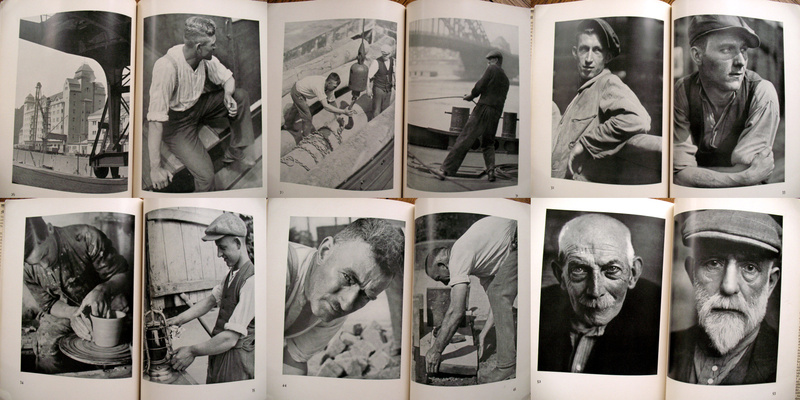 Montages were few and far between in their publications; they preferred straightforward photographs and none of that fancy artistic stuff which the censor had problems understanding. But the montages do relieve the rather straightforward procession of black and white pictures of an illusory society in which the individual is crushed by the oppressive Fascist state.